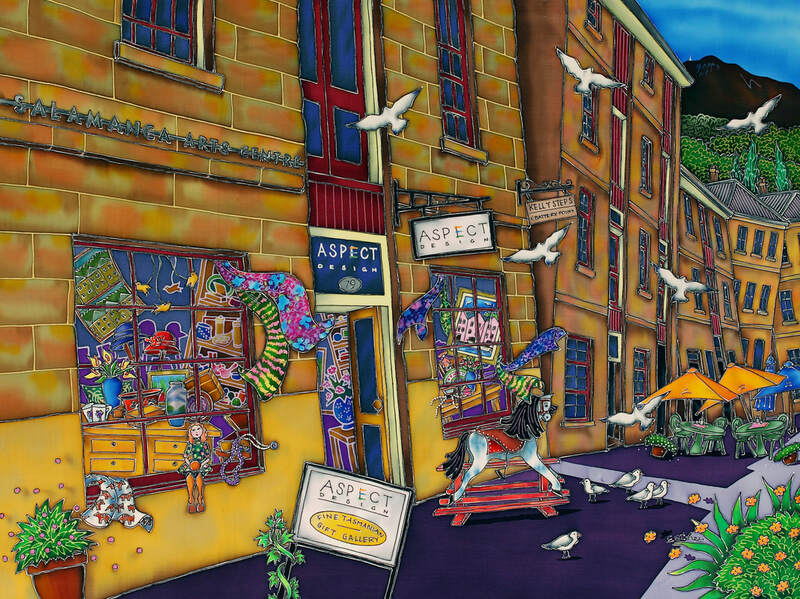 Aspect Design has been handpicking Tasmanian art and craft since 1978. The original gallery in historic Salamanca Place, it features works of some 100 artisans and makers. From tactile Tasmanian timber to designer furniture and vibrant artist prints, it’s a genuine sensory experience. Handmade ceramics, blown glasswares, delicate jewellery and works inspired by island surroundings bring life to the Aspect Design space. Whether you’re looking for a beautifully- crafted Christmas decoration to pop in your case or a signature piece of Tasmanian-made furniture shipped anywhere in the world, Aspect Design can deliver. Why not request your own bespoke piece, designed to your own requirements from the rare Tasmanian Huon Pine? Wander the gallery, admire the craftsmanship and take home your own piece of Tasmania.